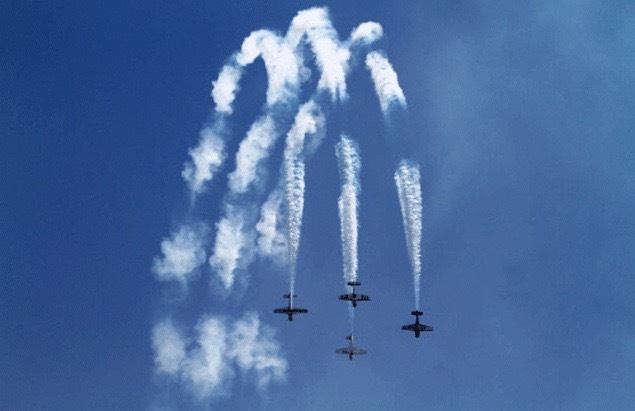 The Global Stars International air display team. 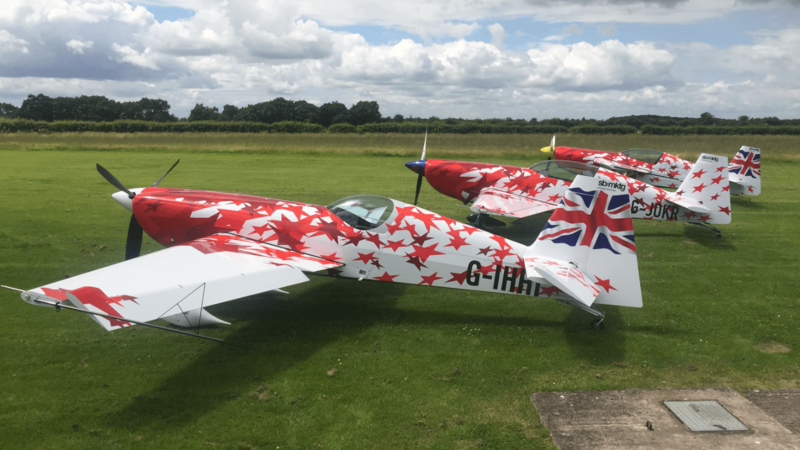 Inspired by Mark Jefferies in 2011 the team have now flown shows in Australia, China, South Korea, India (in fact 30 display flights this year in India) and Holland as well as the UK. We are very pleased to have been booked for Farnborough 2016, this will be our first display with all aircraft in “team” colours. 3 of the 4 now done. 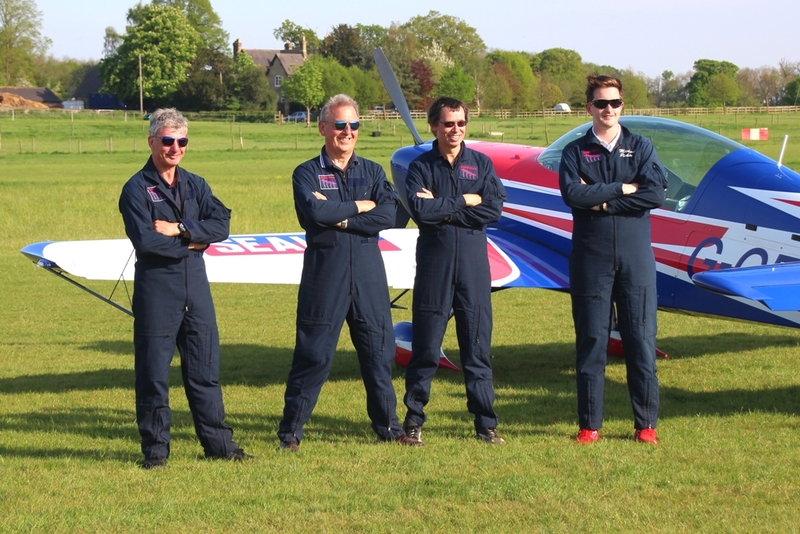 The aircraft to be flown will be the Extra 330SC by Mark Jefferies, right wing and solo display, Extra 260 Steve Carver left wing, Extra 300L with Michael Pickin in box and leading the formation will be Tom Cassell’s in the CAP 232. Our validation flight is on the 5th July at 14:30. The purpose of this flight is to validate our display and familiarize ourselves with the tight venue and its special challenges. During display week we will be tracked by radar with our flight paths superimposed upon the airfield map thus showing in real time exactly where we are. This is an aid for the FDD to asses our performance, this is the radar tracking from Farnborough 2014 when Mark flew the Extra 330LX.